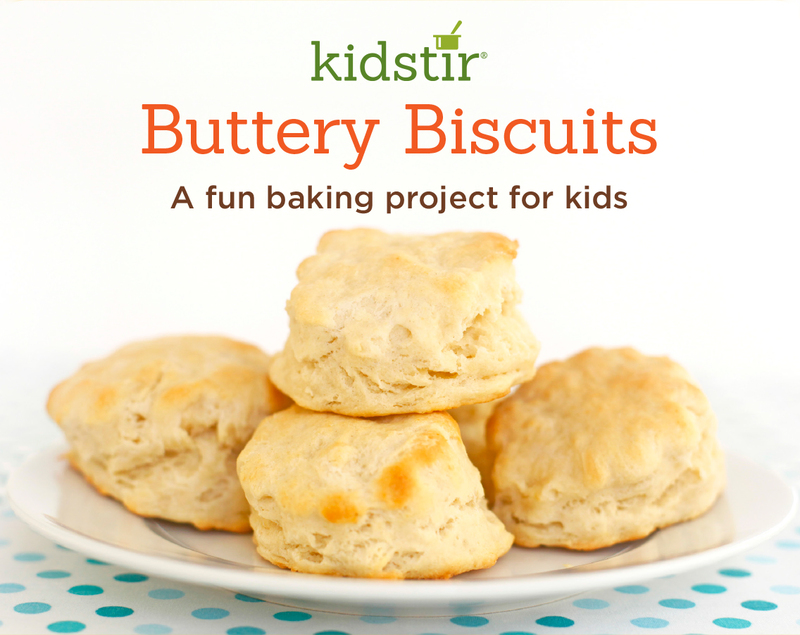 Making biscuits is a simple first baking project for kids. They'll learn some basic skills (measuring, kneading, and baking). But the best part is eating (and sharing!) their fresh-baked goodies with butter and jam. 1. Preheat the oven to 425°. Sift the flour, baking powder, salt, and sugar into a large bowl. 2. Cut the butter into small chunks. Use the pastry cutter or fork to mix the butter into the dry ingredients until the dough looks crumbly. 3. Pour in the milk. Stir with a fork until it forms a rough ball. 4. Transfer the dough to a countertop dusted with flour. Knead the dough a few times, then shape into a large ball. Pat the dough into a thick flat circle. The dough should be about 1/2 inch thick (it will double in thickness when it bakes). 5. Flour the cookie cutter. Cut out the biscuits and place them on a baking sheet. 6. Bake the biscuits for 12 minutes. Remove from the oven and transfer to a plate.